Whether you’re expecting for the first time or you’re adding another bundle of joy to your family, when you start buying purchases for your new baby, where on earth do you start? If you’re new to the parenting gig, how do you know what to look for, what’s good quality and ultimately, what to buy that will suit your baby? The questions are endless, but the good news is we’re all in it together. When it comes to baby changing mats they are an absolutely essential purchase for you and baby that will make changing time comfortable and as stress free as possible for you. A baby changing mat will become one of your most used essentials, so it has to be good quality, provide comfort to the baby and of course, suit your nursery decor if you have a specific colour theme. 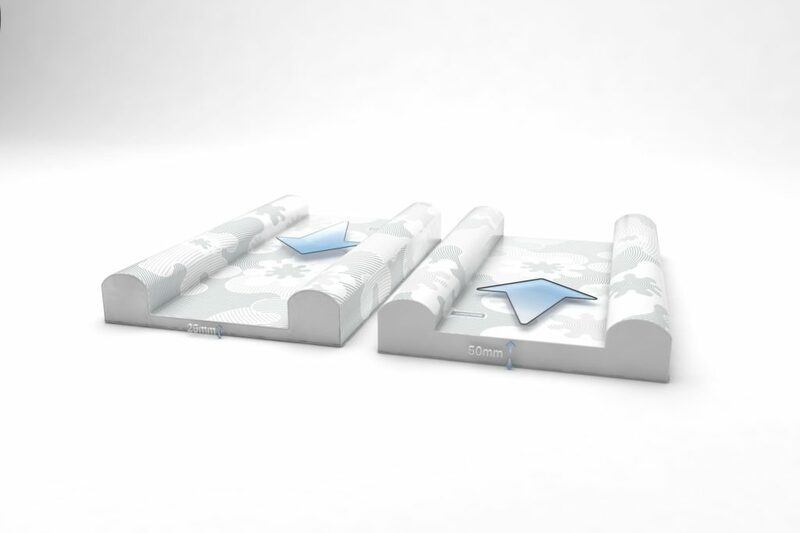 Based on the unwavering success of our Original Changing Mat, at the end of last year we launched our brand new SuperSnug Changing Mat to provide parents with those added touches that really make a difference at baby changing time. 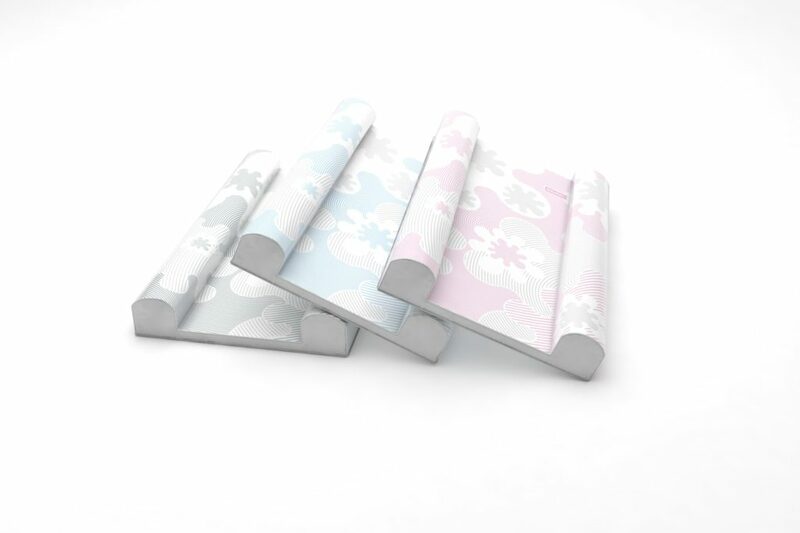 Many changing mats have a low base and sides to begin with which makes it very easy for baby to roll off the side. 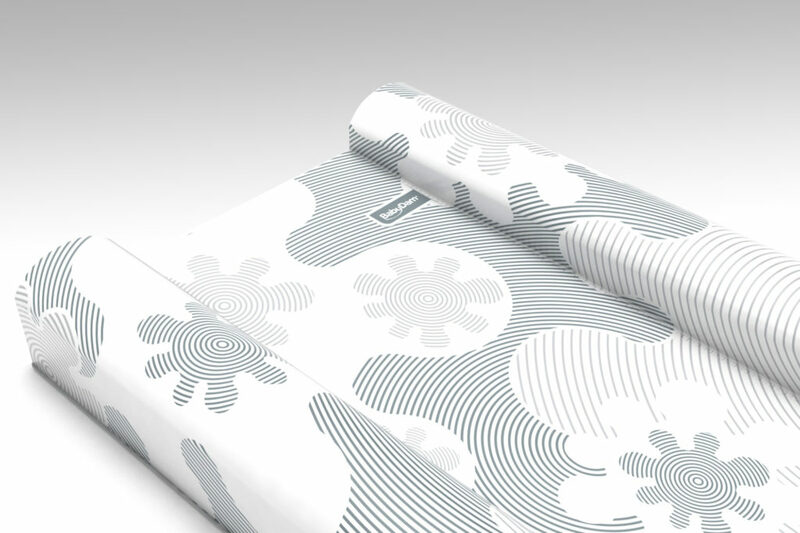 Whilst a baby should NEVER be left alone on a changing mat, our SuperSnug features our high anti roll side bolsters which help to contain a wriggly baby, provide additional comfort to baby and stop them from rolling off. This in itself provides parents with that little extra peace of mind when changing baby or giving a baby massage. Designed with a gentle slope, the head of the changing mat where the baby lays is 50mm thick, reducing to 25mm to create the perfect slope. This clever design has been implemented for a number of reasons including providing relief to those babies with reflux symptoms, evidence shows that keeping baby upright during and for at least half an hour after a feed can help to reduce reflux by using gravity to keep the milk down. Talking of our gently sloping base leads us onto.. The elevated head position means that it promotes better eye contact with baby and parent, in doing so this reassures the baby and one of the main reasons baby doesn’t like lying on their back is because they can’t see what it going on around them. With the gentle elevation it increases eye contact which makes it perfect for bonding time too. The SuperSnug features a truly unique design that has been designed from scratch by our BabyDam designer, you won’t see any stars, hearts or moons here, but we’re sure you’ll agree it’s a fun and tasteful design that will look great in any nursery. Available in a beautiful pastel grey, pink and blue colour, these muted tones are the hottest colours in the nursery industry for 2019! Paired with the high anti roll side bolsters, the base on which baby lies is luxuriously padded. There isn’t any other changing mat of this thickness on the market that we know of, if you were to compare it with a traditional changing mat you actually wouldn’t believe the difference as it’s almost double the thickness. The robust structure means that it is a cosy place for baby to lay during change, play and massage. The unique design is formed from a high quality foam inner and finished with an easy wipe clean, outer cover for ease. Now, that’s what we call a quality changing mat for baby! Keep up to date with the latest news from BabyDam over on our Facebook page or Twitter!